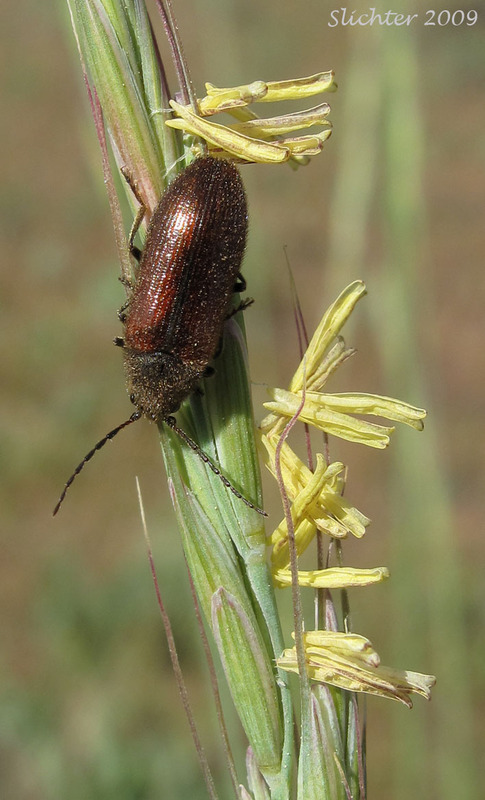 Close-ups of bluebunch wheatgrass and a visiting beetle as seen in grasslands above the Klickitat River in the Klickitat State Wildlife Area..........May 31, 2009. 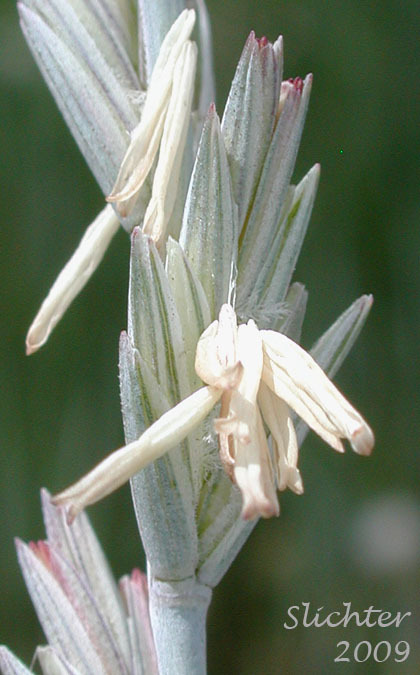 A close-up (left) of the flowers of bluebunch wheatgrass (or is it a needlegrass?) as seen on Patterson Mountain, Department of Natural Resources lands, Okanogan County, Washington.......June 12, 2011. 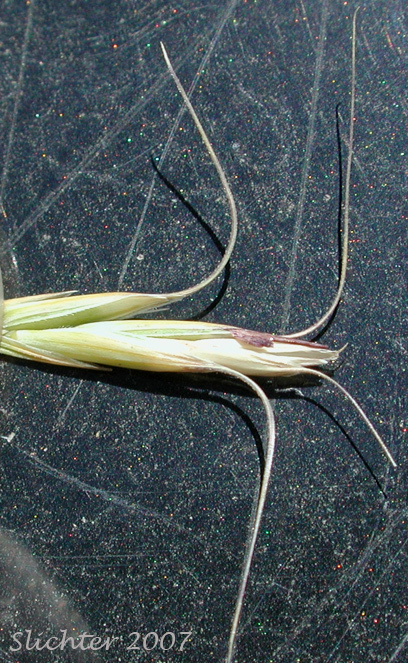 The photo at right shows a close-up of the inflorescence of bluebunch wheatgrass as seen at the Ingalls Creek Living Enrichment Center, Chelan County, Washington...........June 6, 2015. 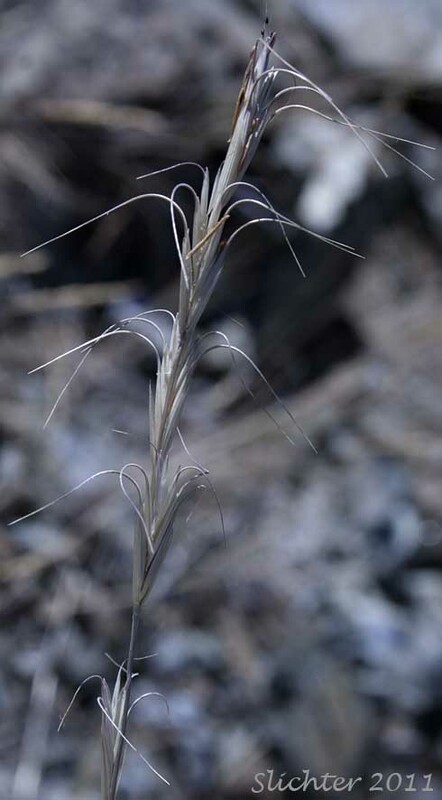 Additional close-ups of bluebunch wheatgrass as seen along the Canyon Mountain Trail #218, Strawberry Mountain Wilderness.........August 19, 2011. 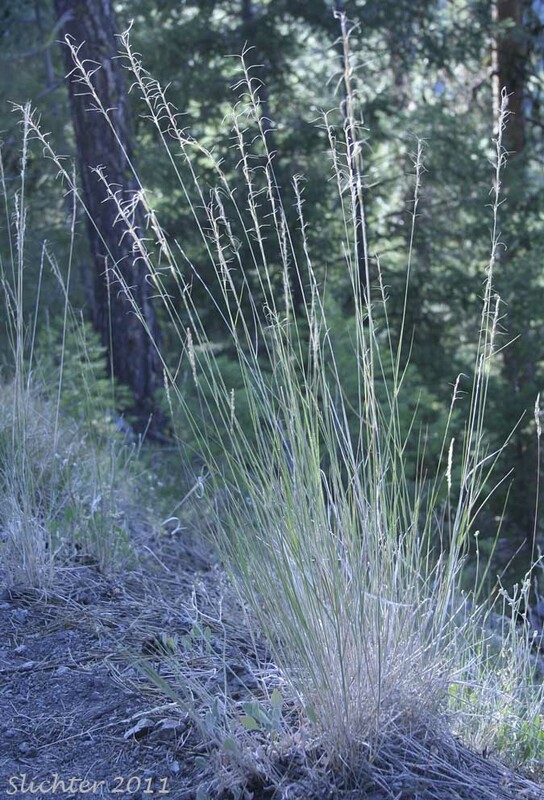 The photos at left and center are close-up images of the inflorescence of bluebunch wheatgrass as seen along the Steins Pillar Trail #837, Ochoco National Forest.........June 26, 2017. 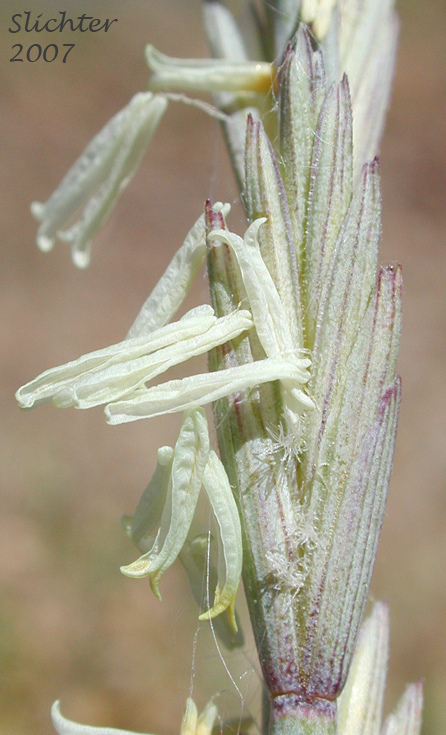 The photo at right shows a close-up of the inflorescence of bluebunch wheatgrass as seen near the Smoothing Iron Ranch, Asotin Wildlife Area, Asotin County, WA.......June 3, 2017. 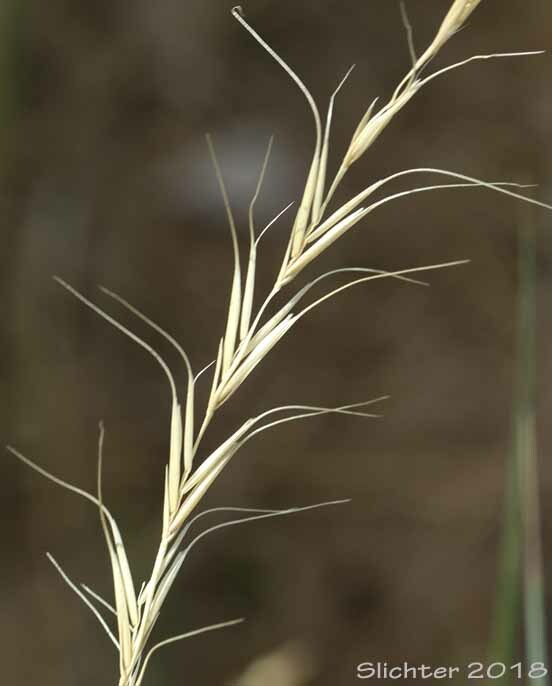 A close-up of the spikelets of beardless bluebunch wheatgrass (Pseudoroegneria spicata) as seen at left along Forest Service Road 46 east of Thomason Meadows, Wallowa-Whitman National Forest.........July 9, 2007. 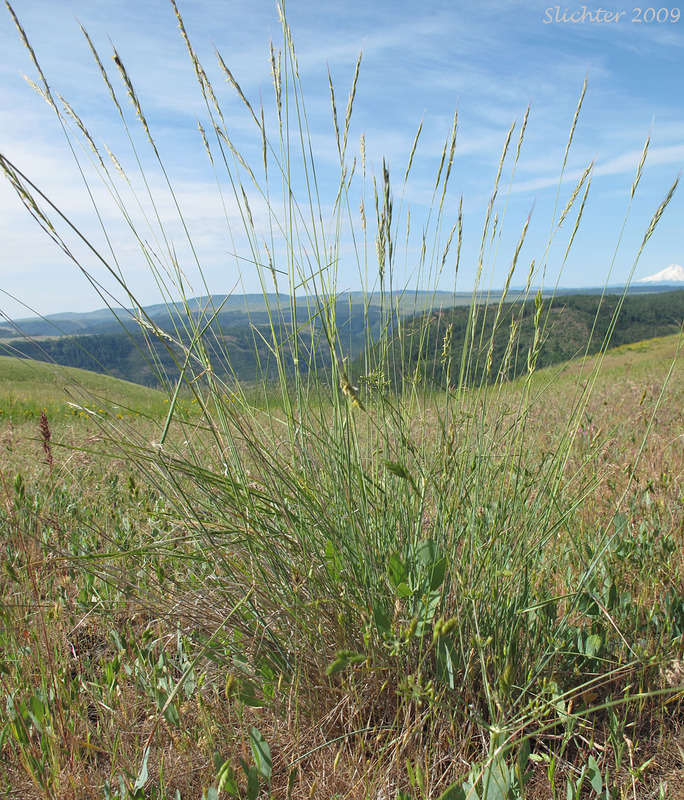 The photo at right shows a close-up of the inflorescence of beardless bluebunch wheatgrass as seen along the Gray Butte Trail #852, Crooked River National Grasslands......May 31, 2018. 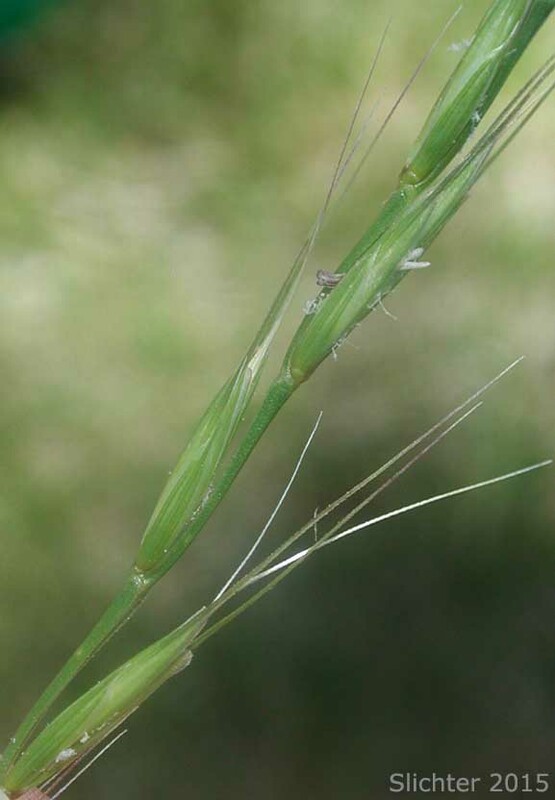 Close-up images of the maturing inflorescences of bluebunch wheatgrass as seen on Missoula Flood sandbars between Five Mile and the Little Spokane River, Spokane County, WA.......June 29, 2018. Bluebunch wheatgrass as seen along the road at the north end of Zumwalt Prairie, Wallowa Whitman National Forest..........July 9, 2007. Close-up views details of the inflorescence and leaf sheath of bluebunch wheatgrass as seen along forest road #3521, Wenatchee National Forest.........August 13, 2009.